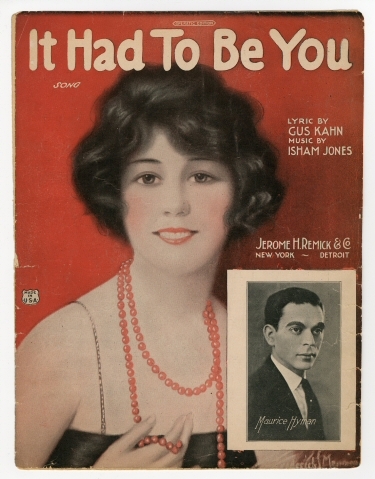 “It Had to Be You” is a popular standard with many fine recordings, including those by Paul Whiteman, Cliff Edwards and Frank Sinatra. It has also be used in several fims, such as Casablanca and Annie Hall. It Had To Be You was recorded on September 11, 1956 and released in 1957 on the album Tony. It was arranged by Ray Conniff. “It Had To Be You” was recorded on March 26, 1964 and released in 1964 on the album When Lights Are Low. It was arranged by Ralph Sharon. “It Had To Be You,” part of a medley with One For My Baby, was recorded on June 24, 1970 and features John Bunch on piano. “It Had To Be You” was recorded and televised live on April 12, 1994 on MTV. The MTV Unplugged album was released in June of that year. The songs from the televised concert were arranged by Tony Bennett and the Ralph Sharon Trio. “It Had To Be You” with Carrie Underwood was recorded in 2011 and was released that year on Duets II. It was arranged by Jorge Calandrelli.